Welcome to Brooklyn Plumbing, Heating & A/C! Since 1987, Brooklyn Plumbing, Heating & A/C has been providing quality service to all customers throughout Michigan. As a second generation and family owned company, we take great pride in our work. We are proud to cover both residential and commercial services, as well as new installations. No job is too big or too small. Find out more about all of our services, from residential and commercial maintenance to installations and repairs. We can help supply a variety of products for all of your heating and cooling needs. From Kohler and Lennox to Grundfos and Maxx, we have it all and much more! Be sure to mention this website and get $10 off any service call! 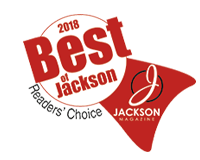 Our experts are here for all of your plumbing needs as well. Give us a call today to find out more!